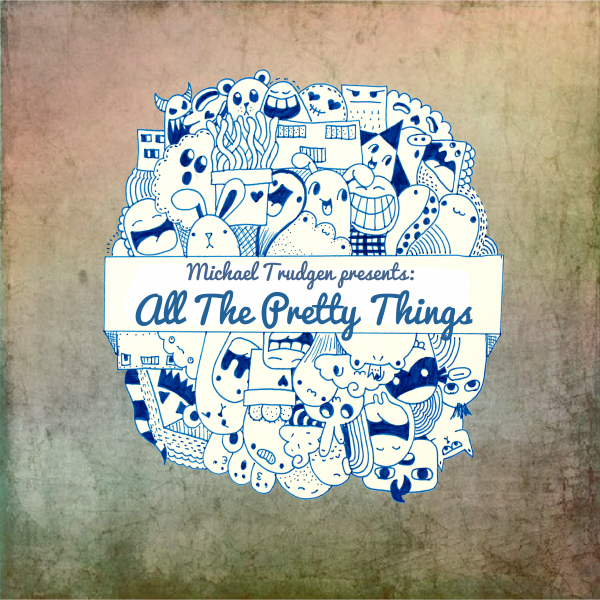 Michael Trudgen - "All The Pretty Things"
A collection of 12 songs, shrink wraped, and with song listings. Packaged and mailed to you! Hard copy of the album. Download code included with purchase! 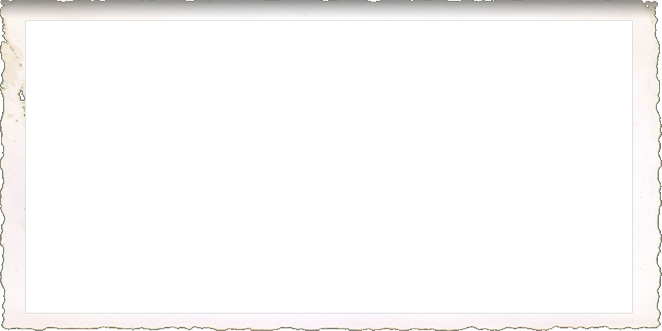 Imagine walking into a venue… The stage isn’t visible yet. In the distance, you hear what sounds like at least two classical guitarists playing off each other’s melodies. Once the stage is in view, you might be a bit surprised to see this singular, immense figure with his acoustic guitar generating this rich, enchanting tapestry of tunes. This is not a trick. It certainly isn’t an illusion. It’s Michael Trudgen – a one man band and maestro speaking through his music. His upcoming album, All The Pretty Things, will only serve these notions further. At first glance, you might assume he could easily turn a guitar to splinters just by holding it – don’t be fooled. What you get from witnessing Michael Trudgen perform is totally remarkable. He is both delicate and wildly technical with his fingerstyle approach, often playing two rhythms at once. From quick finger tapping to silky smooth strums, Michael takes full advantage of his fretboard to compose sweeping, whimsical pieces. He brings his sound full-circle with a soft, rhythmic smack on the body of his guitar. Teeming with atmosphere and narrative, Michael’s instrumentals can easily be described as Norman Rockwell paintings for the ears. Each one of his strums represents an expressive, colourful stroke which constructs a pleasant, timeless story in both feel and tone. 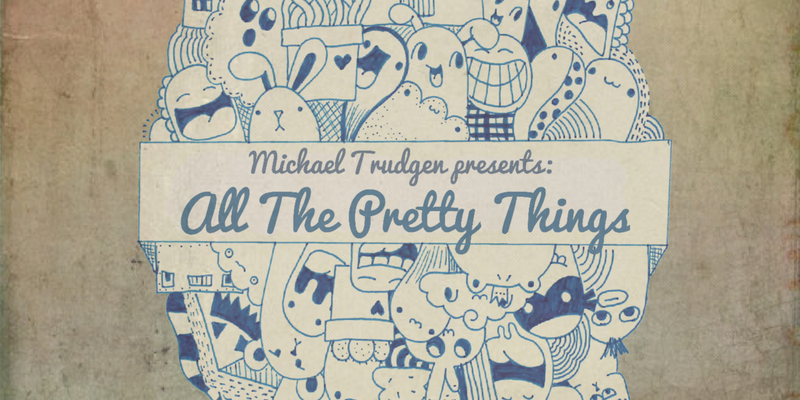 All The Pretty Things; reviewed by Ryan Labreche. 2017 saw the release of his eponymous 12-track debut album. It’s a charming collection and a labour of love, showcasing Michael’s skill and chemistry between himself and his guitar. In essence, it’s a great first entry, setting the precedent for his new album, All The Pretty Things. All The Pretty Things is a refined gem, boasting increased production along with a few other surprises. Where his debut was entirely acoustic, Michael demonstrates his range on this album, extending his ability to the electric guitar, mandolin and banjo. What’s more, it also features Richard Gracious, Kyle Ashbourne and Adam McNeil on keys, drums and bass respectively. In a special collaboration, The Pairs contribute their wonderfully angelic harmonies, which happens to be the only singing present on the album. “New Beginnings” conveys the feeling of relaxing peacefully beneath the shade of an oak tree on a warm summer’s day. Michael’s banjo on “Summer Nights” give it a bluegrass vibe that, when carried by drums, feels like a countryside cruise in a vintage pickup truck with the windows down. Hit the snooze button – “Lazy Sunday” invokes the sensation of a worry-free Sunday morning, nestled in a warm duvet with no urgency to get up. Being instrumental, they give you the freedom to imagine. All The Pretty Things is an ambitious step forward in all the right ways, without sounding grandiose. Michael Trudgen is in his element the whole time, expanding on what made his first release such a memorable listen. The album is carried out in his trademark style with the new elements of All The Pretty Things, at times, branching into a blend of cajun, blues and country rock. All in all, it’s a delightful listen that will warm your heart like a cup of hot chocolate by the family fire. Incidentally, it also makes for a great holiday gift or stocking stuffer! His performances are a sight to behold. So, come down to Fireside Grill, Saturday, December 8, grab a copy of his new album and get swept away! London, Ontario, Canada guitarist Michael Trudgen has been playing the guitar for twenty-five years. Just take a moment to let that sink in. Twenty-five years. That’s a quarter of a freakin’ century. He had some classes in classical guitar as well as six years of piano lessons so needless to say he’s got his stuff down. The thing about Trudgen though is that he has always preferred his own melodies to that of others and has widely shunned covers. This is an extra special caveat which gave him confidence as he came in second place (four votes short of first as the legend goes) for a competition in his hometown which featured sixteen solo and folk acts. Oh and the other caveat is that Michael Trudgen doesn’t sing, nor does anyone else. Yep it’s just folksy acoustic guitar. 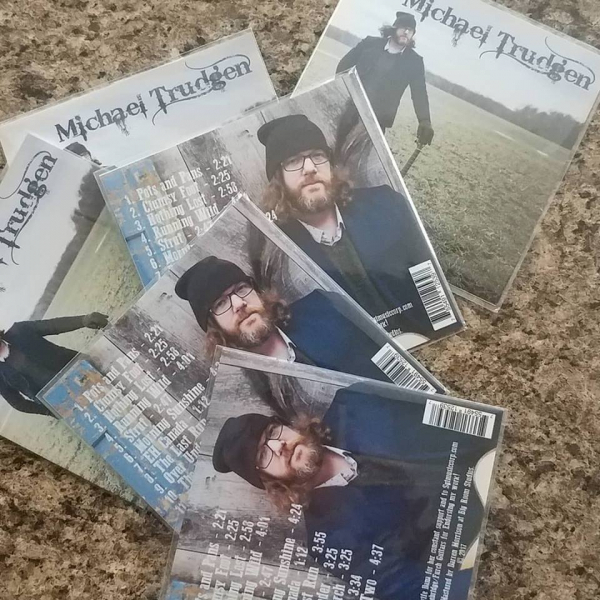 I found myself at a bit of a personal crossroads as I listened to Michael Trudgen’s eponymous debut record. I am no stranger to reviewing solo performers and I am also no stranger to reviewing instrumental bands. However electronic music producers aside I have never before reviewed something quite like this. I’ll admit I didn’t really know how to proceed, given that all twelve tracks on the record at the first few listens sort of blended together. But after a time they began to become, like cells reproducing, each of them separate entities of quiet genius and brilliance. I began to embrace the moods and marvel in the ways in which just five strings, picked in such a way could be so different. The record’s opening track “Pots and Pans” is quick paced and intricate as a spiders web. Its tones and rhythms move the listener to the same highs and lows that any other song with lyrics and tempo would. Nothing is lost here. Without stop we then morph into the quixotic and scuffling dirge-like “Clumsy Foot” which then digresses to the slow and somber “Nothing Lost,” which has a bit of an alt country twang to it. As a man who makes a partial living as a writer I am biting the hand that feeds me in a sense to say that words are cheap. But honestly they usually are. It could be argued that some people shouldn’t be allowed to open their mouths but perhaps that’s getting off topic. The point is here is that Michael Trudgen’s debut is a virtual masters class of finger picked guitar songs. ​There are certain writers who are known as “writer’s writers,” who are known for not being so well known by the public but revered by those who are well known as the real masters of their craft. I would classify Michael Trudgen as a guitarist’s guitarist.” Anyone who really loves the craft of the guitar will admire this record, and I, who cannot play a note to save my life, am also in awe. Michael Trudgen is a finger style guitarist and songwriter from London Ontario Canada. He began his music journey at the age of 6, learning piano, and then transitioning to classical guitar at 14. In his 20’s, Michael developed a fondness for finger style percussive acoustic guitar, drawing inspiration by listening to great acoustic guitarists like Don Ross, Andy McKee, and Jon Gomm. You will find some of their influences in his solo instrumental music! Though Michael had a few garage band’s in his teen years, he focused primarily on writing his own instrumental songs, and by 2013 he saw a posting for a rhythm guitarist, and he signed up for the band Messes & Miracles. Michael got to participate in the writing of Messes & Miracle’s song “Anna May” for their Stages Vol.1 2015 project and also went on to write and record two singles “Noises in the Dark” and “Kings of Palisades.” Shortly after these two releases, the band broke up. Michael and Justin Den Bok continued writing music and formed a new band, With A Fox, at the end of 2015, and produced 2 singles “Rockshow” and “Fight or Flight;” as well as an EP “Songs from the Den.” With A Fox finally made it to the stage at Rum Runners in January 2017 for their first show, and the night was a success! Michael won 2 hrs of recording time at Prevail Music in January 2016, by coming in second place at a local battle of the bands competition, which he performed a 45 minute set of his acoustic instrumental pieces. The competition involved 16 contestants of solo artists, trios and full bands. March 2016, Michael had the pleasure to work with Ian Raeburn-Gibson on Ian’s two songs “Blue Bird” and “Where I Needed to Be,” adding banjo and mandolin. Both are featured on Ian’s self titled EP. Outside of the With A Fox band, Michael continued his passion for instrumental guitar, and wrote a new instrumental piece “Two by Two,” and auditioned for London Arts Live in April of 2016. The audition was a success and the London Arts Council booked Michael for 2 showings a month from June to December 2016, and performed at the Wolf Performance Hall Debate Show, as part of their London Arts Live program. In November 2016, Michael received an Emerging Artist Endorsement by Stonebridge Guitars. A video was produced by Lilac Media Group of Michael’s song “Two by Two,” released on Facebook January 2017, and garnered 5300 views and 36 shares. Setting the tone for his first solo album, due to release in February 2017. Mike I would still like to get a CD of your music so I can play it while I am creating. Well, ........ I don't really know where to begin? Myself also residing in London, Ontario, I know I've heard Michaels name in music circles a few times but, I honestly cannot believe that I somehow have lived in the same city, have moved in the same musician circles and somehow haven't man aged to make Michaels acquaintance either through a mutual friend or within the cities music-nightlife or something? So what Im saying is, being a guitarist myself I AM JUST PLAIN STUPIFIED as to how I have not even heard Michaels beautiful, tear jerking, six string masterpieces before now? But at last I have found this wonderful music! Now I'll just keep hope alive that perhaps I'll bump into Michael at the axe shop or somewhere and we'll get to reach deep & put some spine tingling magical musical landacapes together for a bit!